The journalist and author Melanie Phillips has been part of the moral and political debate in the UK for three decades. With appearances on high-profile shows such as Question Time, and for many years a regular contributor to BBC Radio 4’s The Moral Maze, she has also been a columnist for The Guardian/Observer, The Daily Mail and, currently, The Times. 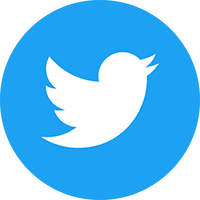 Guardian Angel is an account of her personal and professional journey, from starting out as a right-on award-winning journalist working for the left-wing Guardian newspaper, to gradually not only feeling that she no longer belongs there, but finding herself on the receiving end of ferocious ire from her peers in response to her articles. The book is an explanation of how one can go from being a celebrated darling of the left to an object of its venom. Quite easily, it would seem. In Phillips’ case, this would be to advocate for the family, for education, and for Israel, and to pull no punches in doing so. Guardian Angel is an intriguing book. Certainly, there have been other volumes that have charted a writer’s odyssey away from the left (or at least, criticisms from the left of that side’s most unhelpful shibboleths). Nick Cohen’s What’s Left has proven a bestseller in the last decade or so, but the transition Phillips charts encapsulates the personal as well as the professional, detailing shifting relationships with her parents as well as successive editors at the Guardian. All of this is in the service of the point she is making: that in sticking to her convictions, she alienated herself from her support base, and if you question the orthodoxy, you open yourself up Mao’s Cultural Revolution-style dissident status. There is an astonishing section where she quotes some of the viciousness directed her way from fellow professionals who are convinced of their moral rectitude and virtue. The sections about the author’s childhood and background are amongst the most compelling. Describing herself as part of, “a family that was typical of the post-Second World War British Jewish community,” she writes with a brave absence of sentiment about a stifling and infantilising relationship with her mother, and the weaknesses of her father. These often stark portraits are in many ways typical of Phillips’ writing: unflinching and brutally honest. 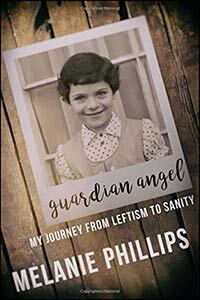 Her socialist parents, along with her colleagues, felt a sense of betrayal and incredulity when she ‘abandoned’ the left, though this is a charge Phillips spends some time refuting. The author’s politics are explained best in the chapter, A Voyage Away From My Father, where she indicates her opposition to “a society consumed by individualism”, identifying problems with this on the left and the right. Understanding this unpacks a lot of the controversies that have attached themselves to Phillips. Her staunch defence of the family has been seen as an attack upon adults who put their needs and desires above those of their children, and this is in evidence throughout the book. Reading Guardian Angel helped me to put into context and rationalise my own disaffection with the left, which began with a similar feeling of abandonment so brilliantly documented by Phillips. In my case, I found no allies in defending the family within LGBT spokespeople seemingly obsessed only with matters of narcissism – and that was a shock to me. Then came the horrifying defence and adoration for a Leader of the Opposition who has exacerbated a problem with anti-Semitism in the UK (neatly summed up in Phillips’ penultimate chapter), and the elitism of those on the losing side of the EU referendum. Delightfully, the narrative is bookended with Brexit. In the responses from the Remain camp, Phillips shared none of my shock, which proves the need to read widely, encompassing those you think you may disagree with: you can gain wisdom and avoid hard lessons later. Overall, Phillips’ repudiation of leftist ideology seems to have occurred with less of a domino effect than my own, but her writing on the subject is therapeutic for similarly politically homeless and disaffected souls, nonetheless. Stylistically, Guardian Angel is tightly-written with typical journalistic economy. At times, I wanted more meat on the bones. For example, I didn’t always follow the through line from Phillips’ disputes with Guardian colleagues and how that applied to a distancing of her position from leftist ideology in general. If anything, I ended up wanting to know less about the workings of a national newspaper office and more about why the editorial ideology they peddle is misguided (perhaps to delve too much into that remains painful?). When such moments come, though, they are powerful. In the chapter where Phillips leaves the Guardian, editor Will Hutton publishes a front page headline that can shock into revulsion any reasonable reader, and which Phillips describes as, “a foretaste of the hysteria by the Remain side”. All writers have favoured words – Christopher Hitchens’ book Arguably was so-named on account of his preponderance in using it. In Phillips’ case, it’s ‘merely’, which arrives on almost every page. The jackpot is hit on page 124, when there are two uses of ‘merely’ and one ‘mere’ in the space of fifty words. It’s perhaps churlish to point out such things, but it’s an overall criticism that Guardian Angel feels like it is one thorough edit away from ironing out a few such linguistic irritations. This is to take nothing away from the subject matter, and the fact that the book is an undoubted page turner. In so many ways, Guardian Angel feels like a book Phillips has been writing for quite some time, and needed to get out of her system. Approaching Guardian Angel, I wasn’t sure if I would like it, but I read it all in three sittings. If, as it was for me, Melanie Phillips is a name that has often evoked mixed feelings, then Guardian Angel certainly humanises her, and clearly sets out her positions. On reaching the end, I understood fully that the epithets often attached to the author say more about the absence of probity and decent argument of those using them than the subject they are aimed at. Love her or loathe her, Melanie Phillips is a strong voice in national debate, and one that speaks through moral conviction, unbowed by the unnecessary venom directed her way. Guardian Angel rings with conviction and integrity. Could it have been more savage in its deracination of an ideology that makes enemies of independent thinkers? Perhaps, but on reflection, retaining the moral high ground is a suitable stance for this author to take.